Black and white works really well in the kitchen, especially with stainless steel appliances and creating a contemporary look and feel. 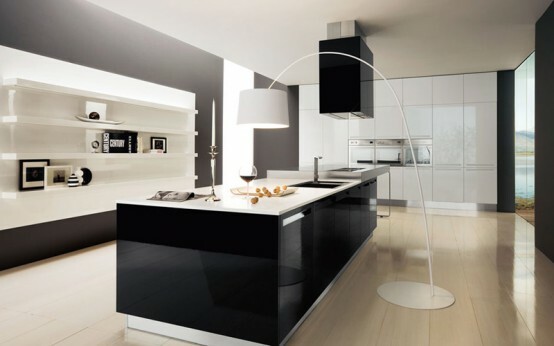 A totally white kitchen can look a little bit sterile, but combined with black it gives it a very modern feel without being too clean and minimalistic. Set it off by using the floor and a combined color or an accent to finish off the strong look of black and white. A checkerboard pattern on the floor can combine both elements and still give a really strong look.